BPope Productions has over 7 years of live event production experience. We cover anything from sporting events, graduations, concerts, corporate events, TEDX events, press conferences, and many more. BPope Productions covers Davidson College Athletics streaming. 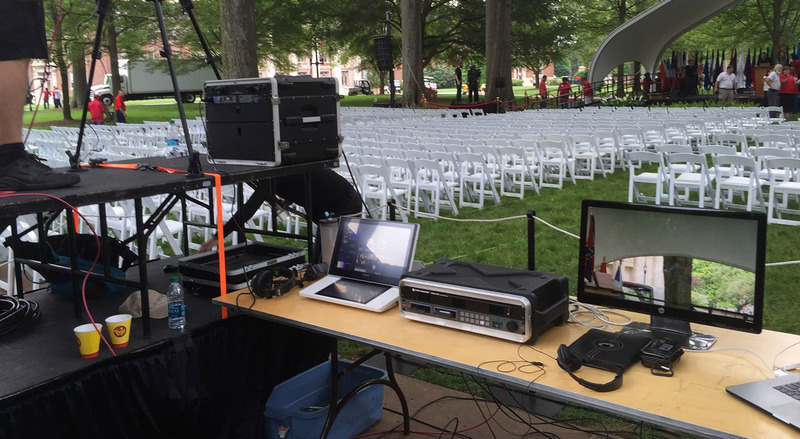 We can provide multi-camera streams set-up for your events. Contact us today for more information. • Integrate lower thirds, slides, transparent images, etc. We use multiple UHD 4k cameras to capture every angle. We’ll work with your sound engineer or provide our own audio to ensure the audio is recorded. We can also integrate slides, videos, animations and more into your final video. 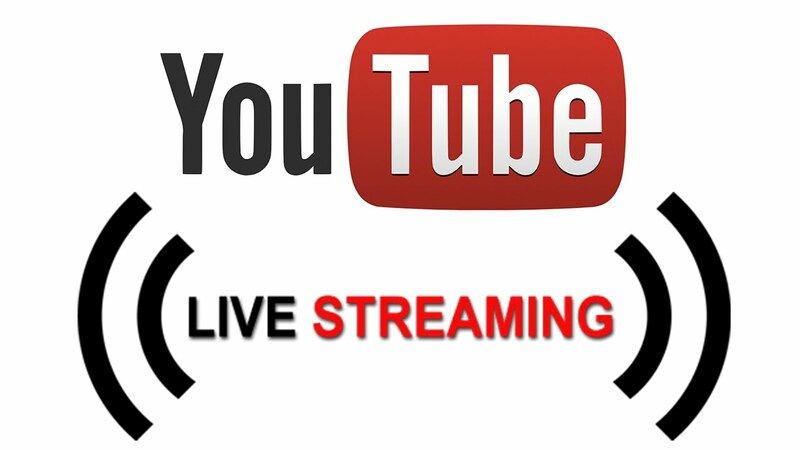 We can stream to multiple networks at once so you can go live on YouTube and Facebook simultaneously. Our live streams can be viewed on any device around the globe ensuring your broadcast reaches as many screens as possible. Why Should I stream a live event? Whether it’s a small business, college, or local church – everyone is looking for creative ways to better connect with with audience. Live video streaming enables organizations to engage existing customers and reach out to more people. It’s a 21st century tool for creating loyal fans and customers. Research has shown that live-streamed events have a four-times longer viewership than recorded events. So, if you really want to reach out and grab your audience, live streaming is the way to go. Why Stream with BPope Productions? BPope Productions has over 10 years of live event production & live streaming experience. No one makes HD-quality live streaming easier or more affordable. We can create a more robust video experience with multicast streaming to (Youtube, Facebook, private RTMP server) and privacy options (PPV, Flex, public, private, by invitation only) right from our dashboard. What do I need to get up & running? All you need is a internet access, we take care of the rest. Once cameras are strategically placed for the live production, broadcasting can begin immediately! We can configure your stream settings and embedded code on your website and you’re ready to stream! Are events recorded & archived? Yes! If your viewers happen to miss the event as it’s happening, they can still watch it by clicking the same link that was created for the live event. What type of network connection do I need? Video streaming by nature requires a reliable network connection that can sustain a high volume of traffic throughout the length of a video broadcast. Wired is optimal; wireless, cellular (4G LTE) is an option. How does my audience | customers get to see my events? Share the event via Facebook and Youtube to enable social media discussion. Keep your event private and invite viewers as you see fit.